More Filipinos lined up as 6/58 Ultra Lotto jackpot soar high to P885 million for Friday's draw, the Philippine Charity Sweeptakes Office (PCSO) announced Wednesday. Special Assistant to the President Christopher Lawrence "Bong" Go said the President gave instructions to have his bet placed for the Ultra Lotto 6/58 game. 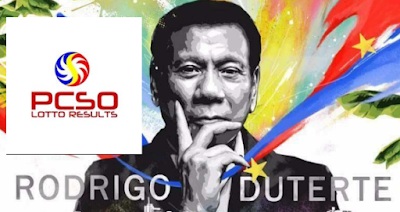 "Mamaya nagpapataya na naman siya ng bago (Duterte asaked me to place his new bet later)," Go said in a radio interview. Go said Duterte also tried his luck last week and gave 18 combinations. "Eighteen po 'yung combinations na pinataya nya sa akin last week. Hindi nanalo (He gave 18 combinations. He asked me to place his bet on the lottery last week. But he did not win), Go said. No bettor hit the six-digit winning combination 30-41-53-04-02-54, which had a prize of P849 million on Tuesday.